Matt Howarth has been working in the alt/indy comics scene for decades, now. He’s probably best known for his two most-famous creations: Those Annoying Post Bros. and Savage Henry. From time to time, he’s ventured into the mainstream and produced works like Star Crossed (from DC Comics’ short-lived Helix line of comics). 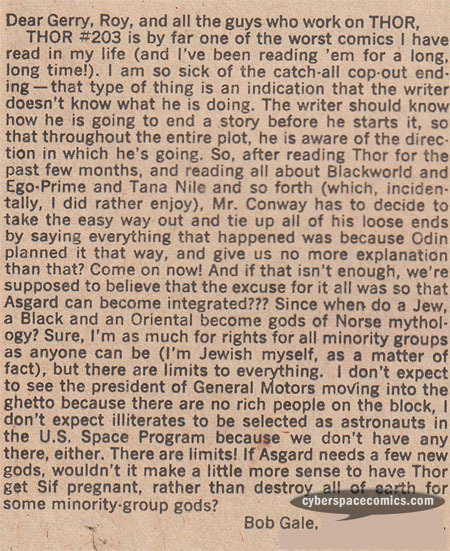 He got a letter printed in Thor #211 (cover date – May 1973). In it, he extolls Marvel’s new policy of crediting colorists for their work. Richard Gere and Julia Roberts starred in 1990’s romantic comedy, Pretty Woman. Deadpool and Dr. Betty Swanson (A.I.M./Hydra double agent) are featured in Arthur Suydam’s cover to Deadpool: Merc With A Mouth #5. When the DC and Marvel Universes merged in Marvel vs DC, a new one was created: the Amalgam Universe. 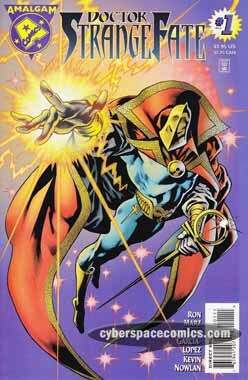 This one-shot combined Doctor Strange with Doctor Fate. In Marvel vs DC, Axel “Access” Asher was passed on the powers and responsibility of keeping the DC Universe and the Marvel Universe separate. He quickly failed at this job and the universes did indeed merge together into the Amalgam Universe. Doctor Strangefate is the only person that exists in the Amalgam Universe that knows how it came about … and he wants it to stay that way. So, he sends a squad consisting of the Skulk (Hulk & Solomon Grundy), Jade Nova (Jade & Nova) and the White Witch (Scarlet Witch & Zatanna) to abduct Access. Unfortunately for Strangefate, he discovers that Access has hidden away the keys that will allow him to separate the universes again. Access beats a hasty retreat and Strangefate is left to ponder his failure at securing the existence of his very world. Jose Luis Garcia-Lopez‘s art here is fantastic! The character designs he’s created are wonderful (especially the Abominite!). Ron Marz‘s story is perhaps the most important of the Amalgam one-shots. If Strangefate had succeeded, it would have eliminated the reinstatement of the DC & Marvel Universes. 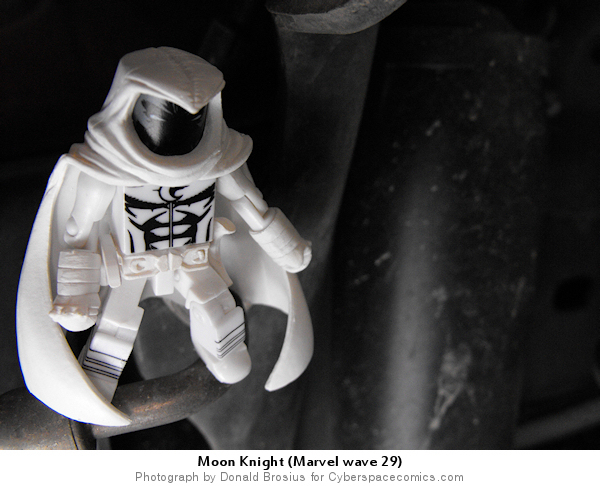 And, at the very end he reveals Strangefate’s secret identity. You’ll never guess it! The story’s end doesn’t leave much room for continuation but in this case, it’s well-warranted and the chase feeling of this tale sucked me right in. No magic photoshop work here. I was walking around a parking lot looking for spots to utilize for a unique looking shot… and I found this one underneath the wheel base of my car. Very simple, very straight forward. After his wife left him, Sergeant Danny Sylva decided it was time to re-enlist and was promptly shipped back to Iraq. On a raid, he discovers a plot by a rogue sect of demons and angels to hasten the Apocalypse by starting xenogenesis (the rebirth of demons on Earth), hoping to prompt an angelic invasion that’ll begin the end of the world. But, he’s going to stop it because he’s this generation’s Shagish Chultepi (English translation: Devil-Slayer) and, armed with the Sword of Naram-Sin and clothed in the Shemagh, he’s the only one who can. The Bad: Making Sylva the great-nephew of Eric Simon Payne (the Devil-Slayer that most Marvel fans will be more familiar with) seems a bit of an unnecessary connection. the Good: Referencing the original Devil-Slayer and his well-documented insanity was a nice nod to Marvel continuity. The coloring scheme, coupled with Samnee’s art, does a great job of capturing the darkness and desolate nature of war as well as the horror of encountering a demon. The covers by Kaare Andrews are the cherry on top of this artistic ice cream sundae. The Verdict: Keene tells a truly frightening story here and creates a new hero from the legacy of an old one. The story allows us to discover all of these seemingly crazy and unnatural things at the same time as the main character, allowing us to form a “bond” with him … both of us experiencing things that are better left unexperienced. I never felt that the previous Devil-Slayer got his proper moment in the spotlight but, here’s hoping that this one will. The last page hints at future battles against Hellstorm and Dracula that I’d really like to see! Bob Gale is best known for his involvement with the Back to the Future franchise (some of the best films ever made!). He wrote all three movies, the story for the BttF ride, and the cartoon series. On occassion, he’s written for comics, as well. His credits include Batman, Daredevil, Spider-Man … and Ant-Man! He got a letter printed in Thor #208 (cover date – February 1973). 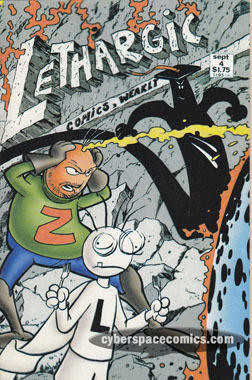 Evil Ernie was an ongoing series originally published by Eternity Comics. 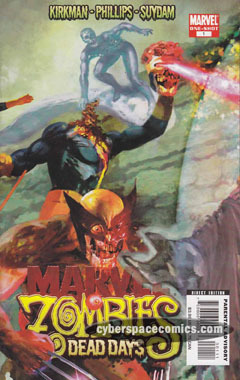 After six issues, he later became one of the flagship characters for Chaos! Comics. His first mini series, Evil Ernie: Resurrection, lasted four issues as did his second mini-series, Evil Ernie: Revenge. To celebrate its first issue, Chaos! 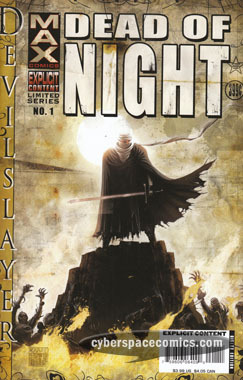 publisheda premium edition that was limited to 10,000 copies. Unfortunately, the red ink dulls the glow finish making it difficult to see the hidden image (Lady Death on the left; Ernie on the right with outstretched claws). 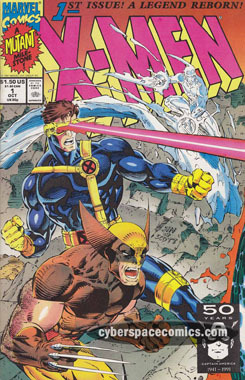 1991’s X-Men #1 is the best-selling comic of all time, reaching 8 million in sales. Part of those figures are due to the variant covers (5 of ’em!) that were released. The other part was due to the incredible popularity of Jim Lee‘s art, at the time. Since it’s been so well-embedded in the social consciousness of comic fans, all of the variants have become targets for cover swipes over the year. Sherlock Holmes is hired to investigate the curious problem of an English businessman named Robert Ferguson. His wife has been caught sucking blood from their infant and she’s also attacked her step-son, Jack Ferguson. 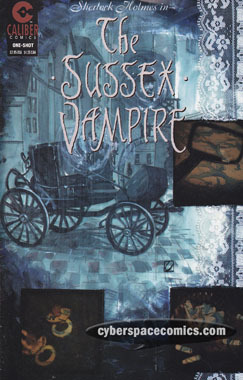 Desperate for assistance, Ferguson believes that Holmes will figure out a way to cure her presumed vampirism. Naturally, it’s no issue at all for the world’s greatest detective to solve this problem … but, can you? Warren Ellis has adapted a wonderful short story by Sir Arthur Conan Doyle, here. There’s more going on here than what appears on the surface but our hero clearly sees that. The story does a great job of slowly pacing through everything and allowing Holmes to come up with clever and insightful deductions. This is the first Sherlock Holmes story that I’ve read and it’s set the bar extremely high. The only thing I can pick on it for is Gilmore’s dreadful artwork. I suppose it may fit the tone of the story but there are plenty of other moody artists that would have been much more capable. But, don’t let the art keep you from reading this one. It’s a keeper!